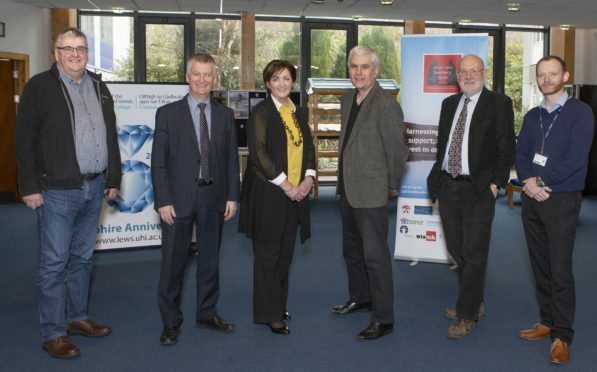 A community-owned wind farm on the Western Isles is to provide funding for students undertaking Masters studies in the sciences at Lews Castle College, after the two organisations struck up a partnership. The Point and Sandwick Trust reinvest the profits from its Beinn Ghrideag wind farm near Stornoway into projects the organisation feel will enhance the lives of locals within the area. A contribution of £10,000 will be made initially by the Trust. Norman Mackenzie, Point and Sandwick Trust chairman, said: “We believe this is a really worthwhile project which underpins educational provision on the island and encourages students to stay and to develop their careers here. Fees for the Masters courses are £5,000 for the one-year, full-time course or split to £2,500 for per year for the two-year part-time course. College principal Iain Macmillan said the new fund “gives students an opportunity to progress here, without having to go to mainland universities”. He also said the college wanted to encourage young people to take an interest in the islands’ renewable energy sector.